Flyer announcing the schedule of events for Homecoming week in 1989. Theme: USU Presents: Homecoming, The Sequel. 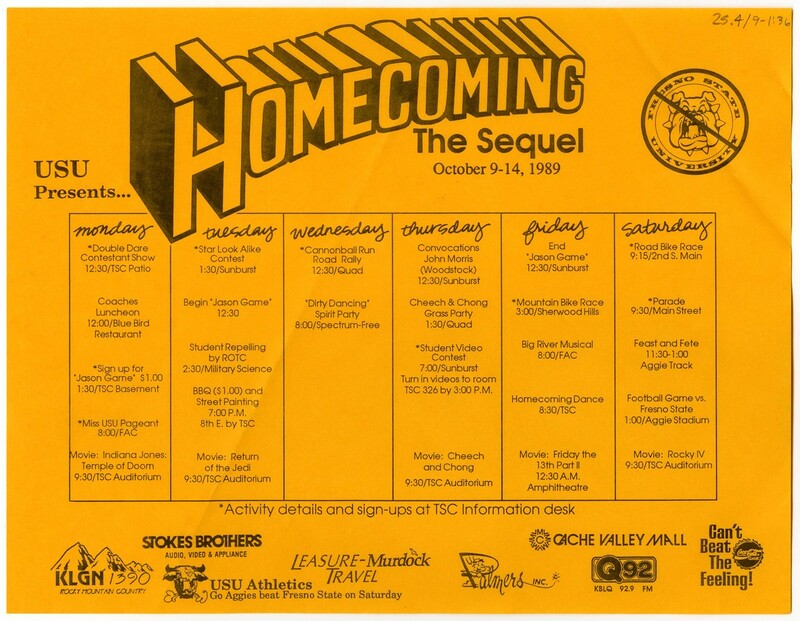 “Homecoming: The Sequel, schedule of events, 1989,” USU Digital Exhibits, accessed April 24, 2019, http://exhibits.usu.edu/items/show/18304.